On March 7, ALA joined a diverse group of consumer, media, technology, library, and other advocates urging federal lawmakers to oppose legislation and regulatory actions that would threaten net neutrality and roll back the important protections put in place by the FCC in 2015, and to continue to enforce the Open Internet Order as it stands. In a letter to FCC Chairman Ajit Pai, the groups emphasized that continued economic, social, and political growth and innovation is dependent on an open and accessible internet. Anti-Semitic fliers were removed from Texas State University’s San Marcos campus on March 3, marking the fourth time university officials have had to address racially charged handouts found at the university since November. University police found four or five fliers outside of the Albert B. Alkek Library. TSU spokesman Matt Flores said an investigation has been opened to find who posted the fliers. Reports that the administration is proposing deep budget cuts for government agencies including NOAA and EPA have fueled new fears of databases being axed, if only as a cost-saving measure. It is illegal to destroy government data, but agencies can make it more difficult to find by revising websites and creating other barriers. Much of the data collected over the decades remains held only by the government, scattered on thousands of servers in hundreds of departments where it may not be backed up and could be impossible to find. The East Side Freedom Library in Saint Paul, Minnesota, was selected as the 2017 winner of the RUSA John Sessions Memorial Award. The award, sponsored by the Department for Professional Employees AFL-CIO, recognizes a library or library system that has made a significant effort to work with the labor community. The library has successfully built relationships with organized labor and community groups that facilitate the empowerment, learning, and engagement of working people. 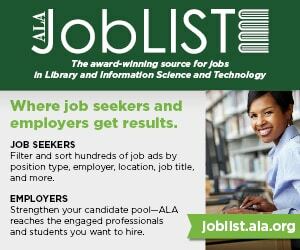 ALA Publishing eLearning Solutions will host a new workshop, “How to Hire a New Library Employee” with Catherine Hakala-Ausperk. This workshop will last consist of two 90-minute sessions that will take place on May 4 and 11. This two-part series will help you prepare and implement a hiring plan, so you can grow your team with precision and purpose. Seangill “Peter” Bae, circulation services director of the Firestone Library at Princeton University, was selected as the 2017 winner of the Virginia Boucher–OCLC Distinguished ILL Librarian Award, administered by the RUSA Sharing and Transforming Access to Resources Section. Bae was selected for outstanding and sustained contributions to the resource sharing community regionally, nationally, and internationally. The Choice Reviews database marked the publication of its 200,000th review on March 3, some 28 years after its launch. The 200,000th review, written by Carol Jamison of Armstrong Atlantic State University, is of An Old English History of the World, edited and translated by Malcolm Godden and published by Harvard. The premier source for reviews of academic books, digital media, andinternet resources in higher education, Choice Reviews is an ACRL publication. All links outside americanlibrariesmagazine.org are provided for informational purposes only. Questions about the content of any external site should be addressed to the administrator of that site. The idea of a single day devoted to the earth is absurd. In the 49 years since the first Earth Day was celebrated, human civilization—checked by neither morality nor policy—has wrought devastation upon the planet, increasing with each passing year of excess and inaction the likelihood that coming generations will live in a world unrecognizable to Senator Gaylord Nelson, who first conceived of the day as an environmental teach-in on April 22, 1970. But if there is any hope in righting this awful course, we need to think of every day as Earth Day. Here are some classics of climate change literature to start you off. Registration is now open for three preconferences presented by LLAMA in conjunction with the 2019 ALA Annual Conference in Washington, DC., June 21. The topics are: a tour of District of Columbia Public Library branches, techniques for funding and building academic libraries, and emergency management strategies. Register online. The newly updated second edition of Library Management 101: A Practical Guide, published by ALA Neal-Schuman, speaks to a reality that all current professionals already know: Everyone studying to enter the profession needs an introduction to the topic of management. 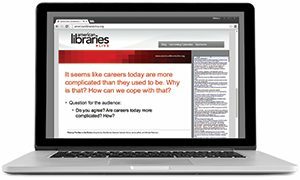 Because no matter what one’s role in an academic or public library context, it will involve decision-making, planning, and organization skills. Edited by Lisa K. Hussey and Diane L. Velasquez, this book pulls together management best practices from experts teaching LIS programs across the US and Canada. 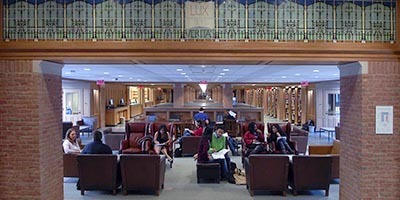 At a forum in January, Yale University Librarian Susan Gibbons outlined a seemingly uncontroversial proposal: to relocate tens of thousands of books from the undergraduate library to make space for more seating. She said declining circulation and the recent increase in the size of the student body justified the plan, which would reduce the print volumes from 150,000 to 40,000. The proposal prompted an angry response from students, who framed the move as an assault on “book culture” that would make it harder to browse materials. In response, Gibbons in February announced an updated renovation plan by which the library would keep 61,000 print volumes. As part of ALA President Loida Garcia-Febo’s efforts in the area of diversity, equity, and inclusion, the Office for Diversity, Literacy and Outreach Services has invited ALA’s ethnic affiliate members of the Joint Conference of Librarians of Color to an online conversation to share their history, projects, and news in a free 90-minute webinar on May 1. Attendees will hear from six ALA affiliates: American Indian Library Association, Asian/Pacific American Librarians Association, Black Caucus of the American Library Association, Chinese American Librarians Association, Joint Council of Librarians of Color, and Reforma. Register online.